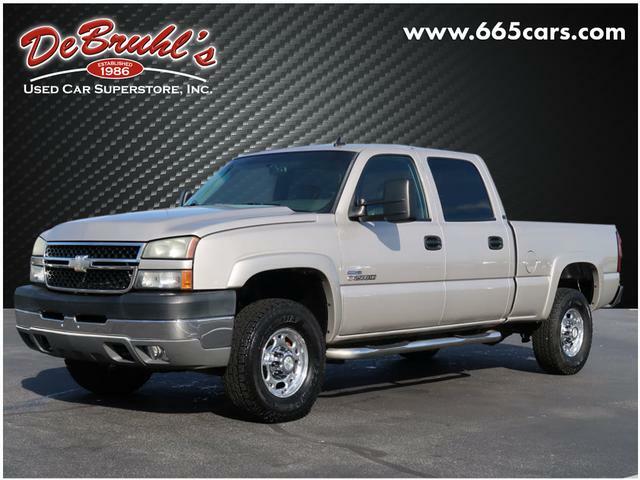 * 8 Cylinder engine * * GREAT DEAL AT $16,950 ** ONLY ONE PREVIOUS OWNER * * 2007 ** Chevrolet * * Silverado 2500HD Classic * * LT1 * For a top driving experience, check out this 2007 Chevrolet Silverado 2500HD Classic LT1 with a a leather interior, dual climate control, heated seats, Bose sound system, anti-lock brakes, and dual airbags. It comes with a 8 Cylinder engine. Check out the driving performance on this diesel-engine vehicle. With a suave silver exterior and a dark charcoal interior, this vehicle is a top pick. This crew cab 4x4 is one of the safest you could buy. It earned a crash test rating of 4 out of 5 stars. Interested? Call today and schedule a test drive! DeBruhls Used Car Superstore is the largest independent auto dealer in WNC! We offer a full range of financing with our guarantee credit approval, everyone is approved here.